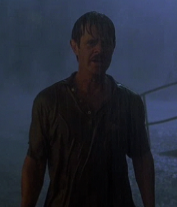 This man approached Dr. Alan Grant with an interesting proposition; he’d pay any amount of money if Grant would be his guide on an aerial tour of Isla Sorna. He claimed to be a survivalist enthusiast and very wealthy. The trip was to be part of his and his wife Amanda’s anniversary celebration. Paul’s true intention for going to the island was to find his son, Eric, who had gone missing eight weeks prior. To do so, he hired several mercenaries and obtained the services of Grant. This he did dishonestly, because he lied to Grant to get him to come, he practically kidnapped him. After narrowly escaping death at the hands of a hungry Spinosaurus, Paul admitted that he was not even actually rich. He was merely the humble owner of a hardware store called Kirby Paint & Tile Plus, his personal satellite phone was even programmed to ring to the tune of the store’s catchy jingle. Even though Grant did not believe a twelve year old boy could survive for eight weeks, Paul did not give up hope. At the suggestion of mercenary Udesky, he and Amanda tagged along with Grant hoping to run into Eric along the way to the coast to signal for help. However, it was Grant who found Eric and Paul was reunited with his son. Upon the discovery of stolen Velociraptor eggs from the hand of Billy Brennan, Paul asked why Grant did not drop them in the river. Grant replied it would be better to have the dinosaurs find them with the eggs rather than without them. Later, he managed to get the abandoned riverboat working so that they could travel downriver to get to the coast. When the Spinosaur returned, Paul risked his life to climb atop an abandoned crane and distract the dinosaur long enough for Grant to scare it away with a flare gun. Upon finding themselves close to the ocean the following morning, he and the others were stopped by the Velociraptors once again. He tried to protect Amanda from the female Raptor, only to have it put him in his place by hissing sharply. 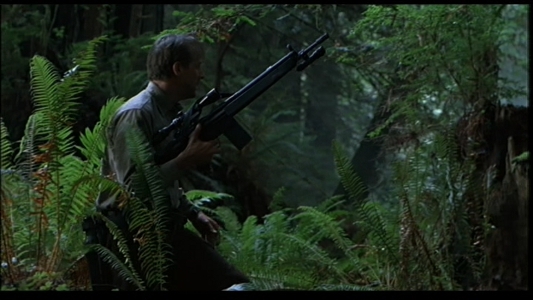 Once the eggs were retrieved by the Raptors, the group heard a helicopter and made it to the coastline. Following the terrible ordeal, Paul returned to a quiet life in Oklahoma with his wife and son. 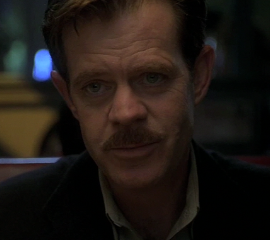 Paul Kirby was played by William H. Macy.